Driving a rental car through Munster in Germany is an ideal way to get to know the beautiful city of Westphalia in an uncomplicated way. Discover with your rented car the many different sights directly on site. With a rental car through Munster: discover the city's many highlights. For example, you can book your rental car from Münster/Osnabrück Airport (FMO), the main railway station or another location in Munster and explore the incomparable city from there. For example, the LWL State Museum of Art and Cultural History is one of the sights you should not miss. After all, this is the central art museum of Westphalia. Look forward to a wide variety of artworks from the early Middle Ages to the present day. Afterwards it is a good idea to continue your rental car through Munster to the St. Paulus Cathedral. The Roman Catholic Church is one of the most important church buildings in Munster. The cathedral is also one of the city's landmarks. The cathedral was built between 1225 and 1264, and its highlights include the impressive astronomical clock from 1540, the cathedral chamber and the cathedral treasure. If you drive through Munster with your rental car, however, you should not miss Munster's famous city palace. This is a former prince-bishop's residence, built from 1767 to 1787. The rich ornamentation of the figures on the façades, for example, is very impressive. The exterior view was built after the war true to the original. Today the castle houses the university administration. In addition, the "Send", the big fair, takes place three times a year on Schlossplatz square. So if you happen to be in town at this time of the day, don't miss it. Princely Bishop's Palace Muenster. With your rental car, however, you will not only reach the various sights in Munster quickly and easily, but also the city's magnificent green areas. For example, a trip to the magnificent Botanical Garden of Muenster is worthwhile. Here you will find among other things beautiful moor and heathland landscapes as well as impressive farmer's gardens. Be inspired by the beauty of the 4.6 hectare garden and its 8,000 different plant species. 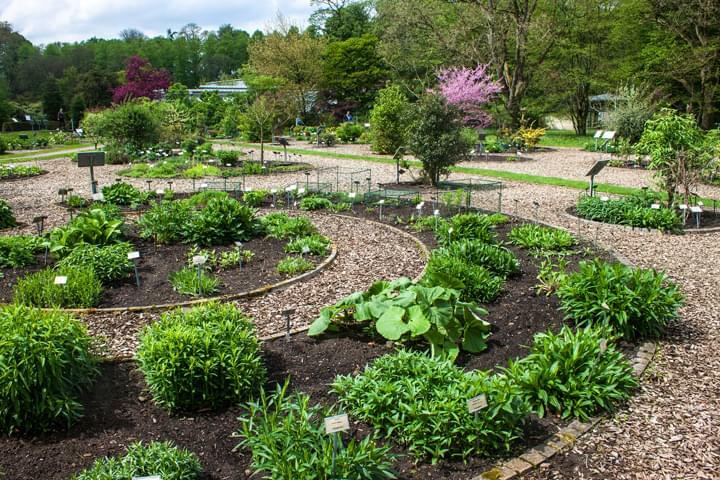 The Botanical Garden also includes ten greenhouses, six of which are open to the public and a touch and smell garden. Or you can drive your rental car to the popular Aaseepark. The park itself covers an area of about 90 hectares and offers magnificent green spaces, which are crossed by a network of paths. Enjoy relaxing walks or discover the local water sports: pedal boating, rowing and sailing are possible on the Aasee. Another popular lake in Munster, which you can easily and quickly reach by rental car, is Lake Hiltrup. Situated south of Hiltrup in Munster, it is also known as the "Steiner See". 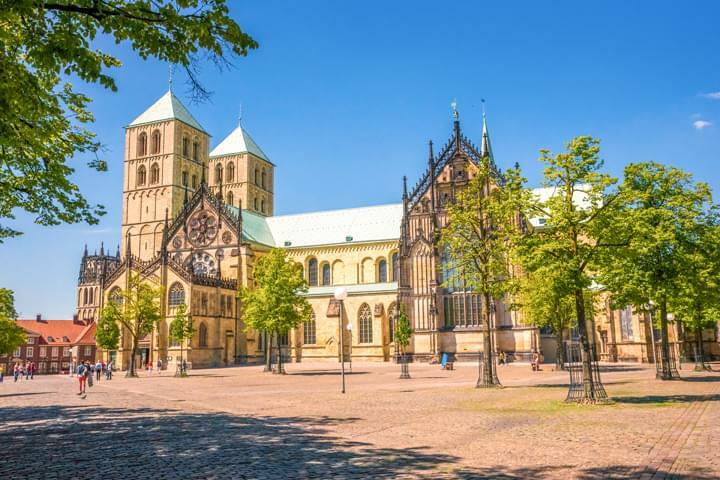 The beautiful city of Munster in Germany has much more to offer, such as a large number of attractive excursion destinations for the whole family. This includes, for example, the popular all-weather zoo Munster, which you can also easily reach by rental car. The all-weather zoo is home to more than 3,000 animals in about 300 species. For example, discover the "Affricaneum", which houses the gorillas and the jungle of the orangutans. Feed the elephants and visit with your younger family members the "Kinder- und Pferdepark" with giant donkeys, ponies, the petting meadow and the wolf forest. 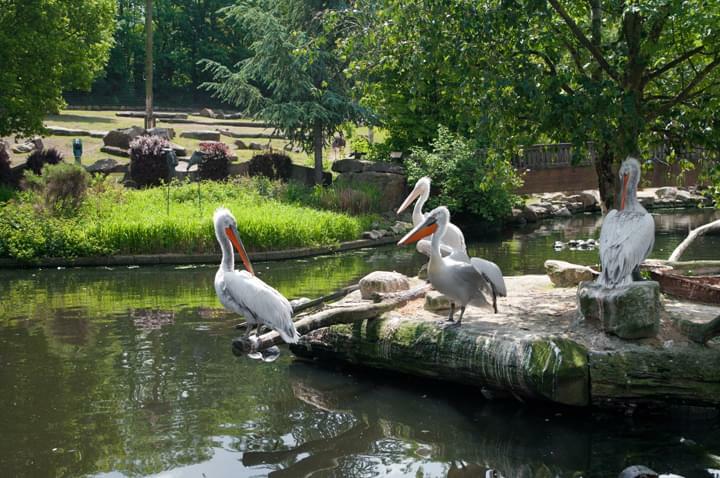 A visit to the all-weather zoo in Munster, Germany is for young and old alike. It is also advisable to rent a car in the leisure pool Atlantis. Pure water fun awaits you indoors and outdoors. Highlights there include, for example, the many different slides. Look forward to a fast-paced slide game in the "Black Hole"with its diverse sound and lighting effects. Swim in the various pools, enjoy the whirlpool, relax on the whirlpool loungers and explore the many other attractions of the leisure pool. The number of baths and saunas is very large, so there is something for everyone. You can also do something for your fitness: Take advantage of the opportunity to try out the various training devices, such as crosstrainers and treadmills. Or you can take your rental car for a drive to the surroundings of Munster, to Dülmen, to the Joy' n us leisure centre. For children and adults alike, it is pure fun to play here. Whether it's miniature golf, laser game, laser day or bowling: try the various options for yourself. You and your children will certainly have a lot of fun with it. Of course you will also find a variety of refreshment stops in the city. Discover the various restaurants, cafés and pubs that serve a wide variety of local and international delicacies. With us you will find a large number of different rental cars for private as well as for professional purposes - so you have a suitable rental car for every occasion. Depending on your needs, you will find a spacious estate car for the whole family, a van or transporter. Depending on your wishes and needs, you can choose the car that best suits your needs and individual requirements. 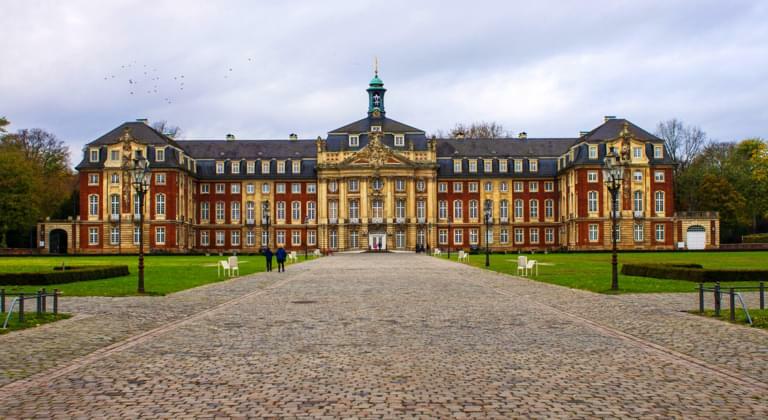 You can easily explore the beautiful city of Muenster in an uncomplicated way with your rental car - always independent of public transport and therefore very flexible. By comparing prices at Driveboo you can save up to 60 percent on your car rental costs. If, contrary to expectations, there is something in between when you rent a car, this is no problem: we offer you a free cancellation up to 24 hours before the start of the rental period. Book a cheap rental car and save money at the same time: Try it for yourself. In addition, you benefit from TÜV-approved safety at Driveboo, so you can be absolutely sure that you will not take any risks. Enjoy the high flexibility with your rental car and be independent of bus, train and so on. Just give it a try: drive your rented car through Munster in Germany and discover the beauty of this incomparable city. The local attractions are just waiting for you.